A young 13-year-old witch and wizard. A quest for 9 Magical Objects - Winner Takes All. An evil sorceress, determined to beat them and rule the planet. Push the outer boundaries of your imagination into a world where Persy (a very talented almost 13 year old witch, magic her 'modus operandi') and her close friend Thaddeus (a 13 year old wizard) with their familiars –Benson (a very cheeky dragonfly) and P-C (a far from brave dragon) pit magic, bravery, skill and allegiances from a swarm of magical creatures against the tall, dark and malevolent Melanthios. "Best new fantasy series books" one reader claims…. 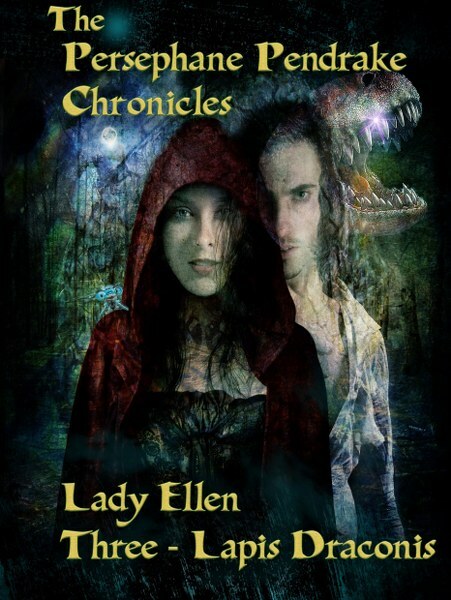 Follow them as they wind through periods in time, to discover ancient magic from cultures all throughout the history of the world in this best fantasy book in a long time. Success for Melanthios means that the entirety of this planet will fall under her control. Our world will become dark, bleak, cold and lorded over by her demons – forever. Persy, Thaddeus, Benson and P-C are assisted by a highly adept, scrying gypsy named Vadoma, a vampire with a rather warped sense of humor - Count Pseudomorphius the Sanguine who is known as Murph...for obvious reasons. Not to be forgotten is the twelve member Magical Governing Council, which Persy's grandmother Laurel is one of the lead members. Each member specializes in a particular area of magic and all have a gift to give our heroes to further enhance their chances against Melanthios. As if she isn't enough to worry about...also on the dark side is a slippery, loathsome Chinese Sorcerer...aiming to usurp Melanthios and beat her at her own game..and along the way...dispose of Persy and her crew! Krak Ling’s Ring calls to Persy and she, Thad, Benson and P-C rush into an unauthorized trip to retrieve it, narrowly missing being killed by guards, when P-C unleashes a power no one knew he possessed or could use, even him. 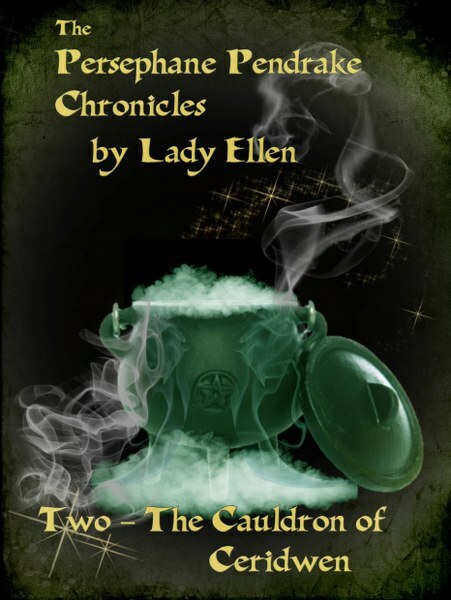 They make their way to Killarney, an area in Ireland, where Lady Druanna's manor is located and there she tells them the tale of The Cauldron. It's not the vessel which is so important to all Magicals but the first three drops of the Brew it creates. But their visit to Lady Dru's is violently interrupted, resulting in severe injury to the Lady and the kidnapping of Thaddeus by the malevolent Melanthios. Persy is beside herself with grief and worry, both for the survival of Lady Druanna and the whereabouts and safety of Thad. - Persy has lost he comrade in arms and so much face this quest alone. - She ultimately finds out that Thad has been tossed into a multiverse. Where? When? Can she ever get him back? - There is another Dark organization, supporting Melanthios in her evil quest. A powerful magical stone embedded in the tooth of a Fire Dragon. Being tossed into a Multiverse. All before starting college at The Illuminary Incantorium. 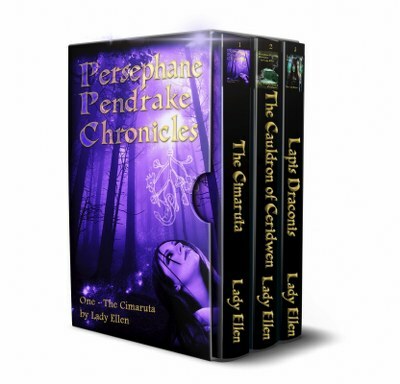 Persephane, Thaddeus, Rix, Sniv and Darson are on the trail of the third Magical Object - The Lapis Draconis. The malicious Melanthios is calling up Demon help to capture the stone before they do. And death. Death comes too soon to one of them. Who? The fast-paced, no-holds-barred quest continues in Book 3 - Lapis Draconis. Get Your Copy Now! GET THE COMPLETE BOX SET HERE! Weaving and scribing of the eight remaining tomes continues in Lady Ellen's remote witch's hut…on her tiny piece of Ontario's Cambrian Shield" …and indeed that's where the series began. 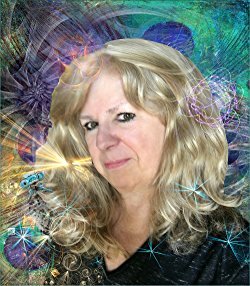 After more than 3 decades as an alternative health care practitioner, I finally managed to start devoting some serious time to my secret love--fantasy fiction. I've always loved fantasy, magic and mythical kingdoms. We home-schooled our kids and lived on a 100 acre farm..which had about twenty-five acres in forest. We'd make up stories and adventures..lots of fairies, witches, wizards, etc. 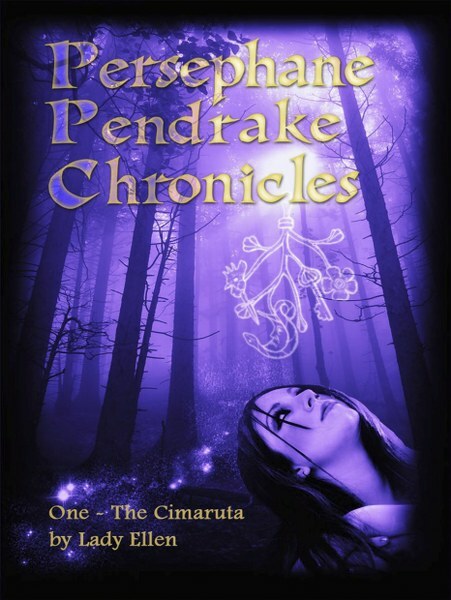 Now, all these years later, I've started on my nine-book, three trilogy magical series...The Persephane Pendrake Chronicles and have released Books 1, 2 and 3... The Cimaruta, The Cauldron of Ceridwen and Lapis Draconis.